According to my Google stats, you fabulous people loved the updated version of the 7 Habits of Happy Kids posters. I must admit, I was pretty thrilled with Denyse's interpretation of the 7 Habits at Scrappin' Doodles. I also have some freebies in the works to cover the first 3 habits. We are almost finished with our school-wide 7 Habits training and I am excited to be a part of our Lighthouse Team. If your school is looking for a way to instill leadership skills in your students, you should talk to your administrators about the 7 Habits of Happy Kids/Leader in Me program! My favorite post (as I mentioned a couple of posts ago) was probably the one about Will. I. Am. 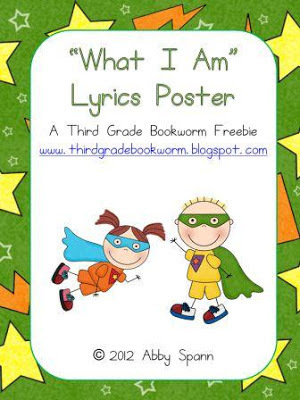 Our kids love, love, love this song. On our last day before winter break, it was the last thing we did before we ended our "family group" celebration. My teaching partner and I both have huge poster sized versions of the lyrics in our room so we can all sing along whenever we have time to play the video! I wanted to challenge myself this year. I'm very comfortable creating grammar and vocabulary units. I feel like I have a "formula" for those. So when I had the idea for a writing unit, I put everything I had into making sure it was practically perfect. My sweet bloggy BFF Mandy even helped me add some "pizazz" to it with a cute craft-ivity. I have gotten some of the sweetest feedback from this unit - and it truly was a relief. I have some more writing units in my "to-create" list. As soon as they are kid tested and approved, I'll be ready to share them with you! 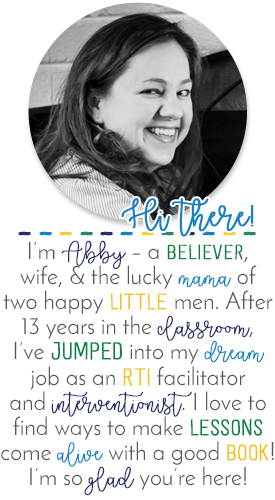 iTeach: I am so GLAD my friend Aileen jumped into the blogging and TpT world. Her blog is always full of fun freebies and fabulous advice. She is my co-director for our drama club at school and I could not pull it off without her. Third Grade Tidbits: My new blogging buddy, Gina! She inspires me to have a constant excitement for teaching and is one of my favorite "editors." :) Right now, she has a super-cute post up about a pen pal exchange she just did. Creekside Teacher Tales: Tracy has the most fabulous ideas for products. I am envious of how quickly she can think of something, create it and share it with the teaching-blogging world. If you haven't seen her Winter Main Idea pack, you need to go sneak a peek... now! 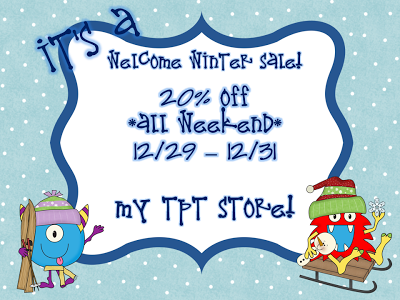 Click to visit my TpT store! Yay! So glad you linked up! 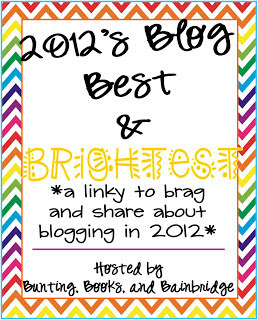 I love your blog and your bloggy friendship! Here's wishing you a fab 2013! 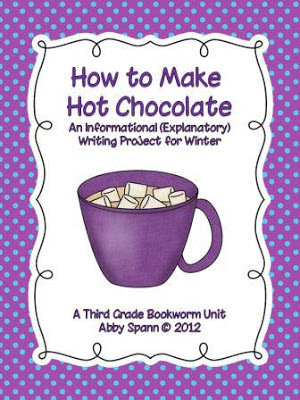 Your winter writing unit looks really cute! I will have to check it out!